Have I got a cool product review for you! But first, a few photos from the weekend. Someone got a little brave and stuck his heat out of the car window for a good 60 seconds on Saturday afternoon. 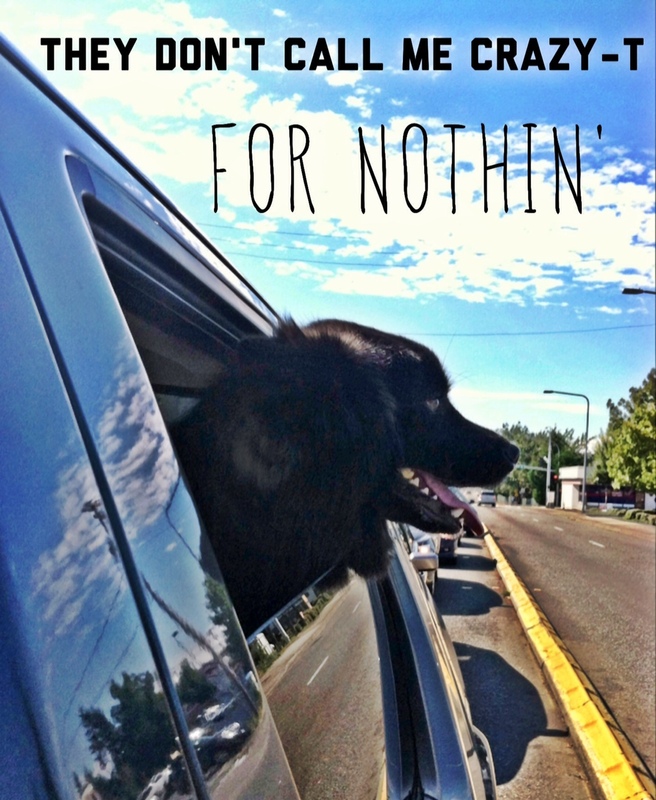 I know, I know, riding in the car with your head out the window is like the definition of dog behavior, but Teton has never shown much interest in it before so it was pretty funny to watch. Crazy-T is his gangsta name. In case you were wondering. 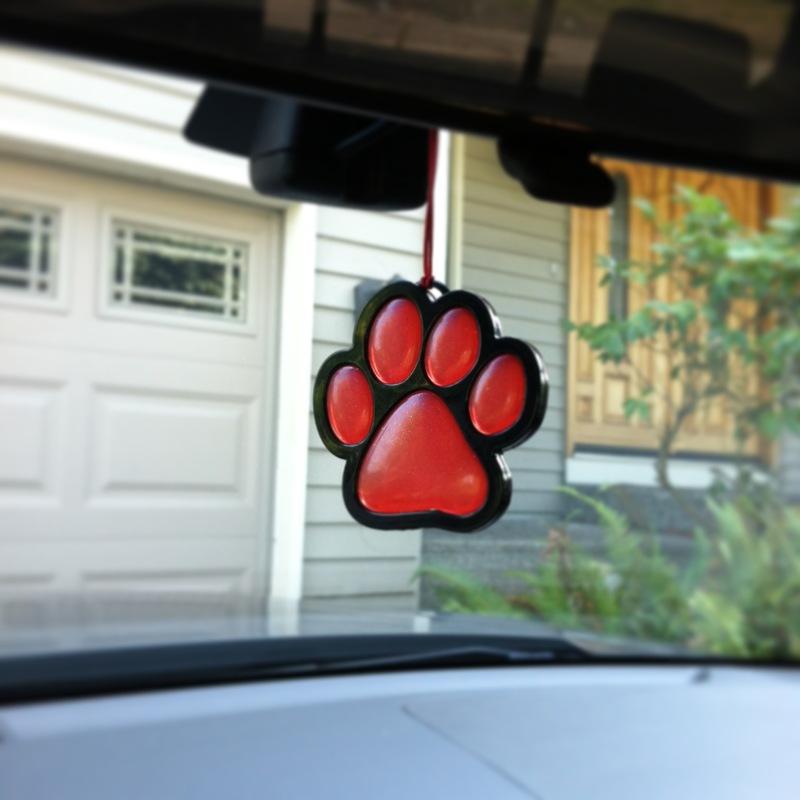 On my grocery run this morning I swooped past the automotive section for a new air freshener for my truck. How could I not buy this one?!?!! We’re watching Teton’s bestie, Biju, and his girlfriend, Kyra, this weekend. 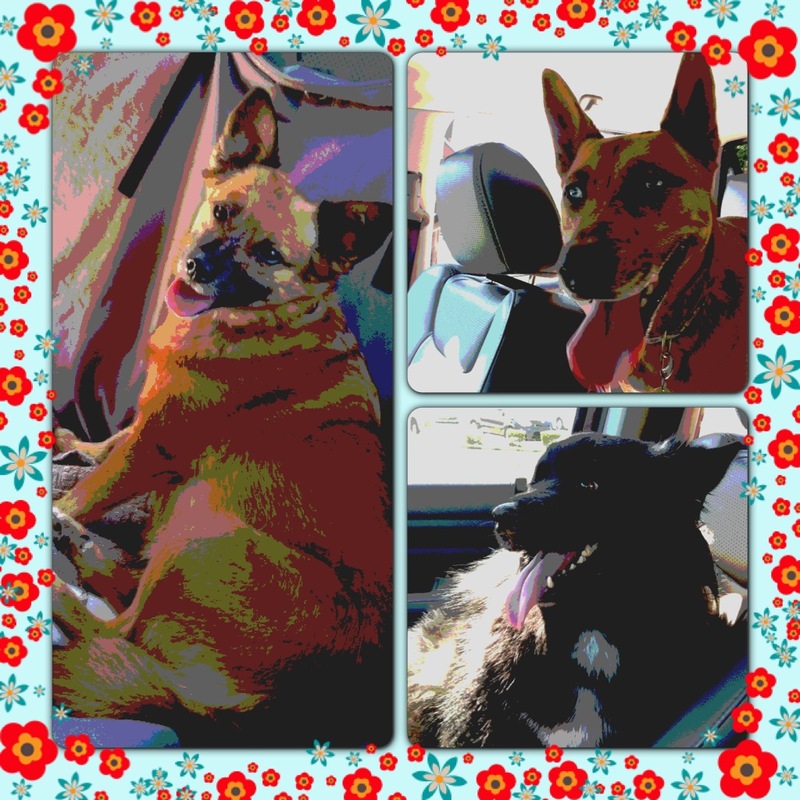 I couldn’t resist using the Instaframe app with these photos of them that I took after the dog park. It’s almost 80 degrees here and in that kind of heat running around the dog park is exhausting! Ok, on to the product! 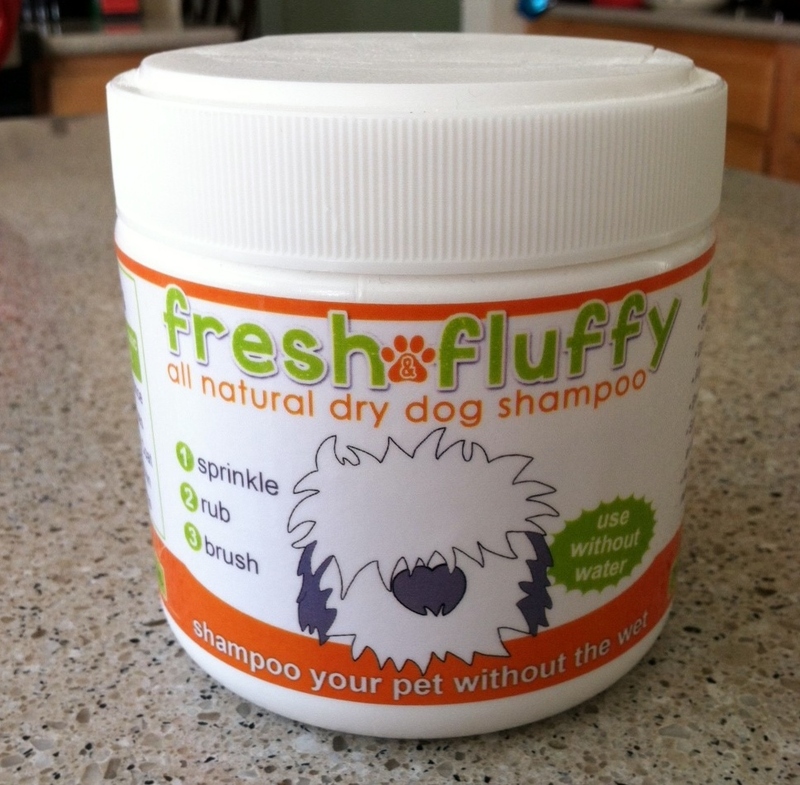 A few weeks ago I was asked if I’d be interested in trying an all natural dry dog shampoo. The timing was fortuitous because just a few weeks before that I was looking for non-wet shampoo alternatives for Teton. His hair is so long and fluffy that cleaning dirt and sand out of it can be challenging and I don’t always have time to bathe him or want to put him through the stress (yes, he’s one of those dogs). 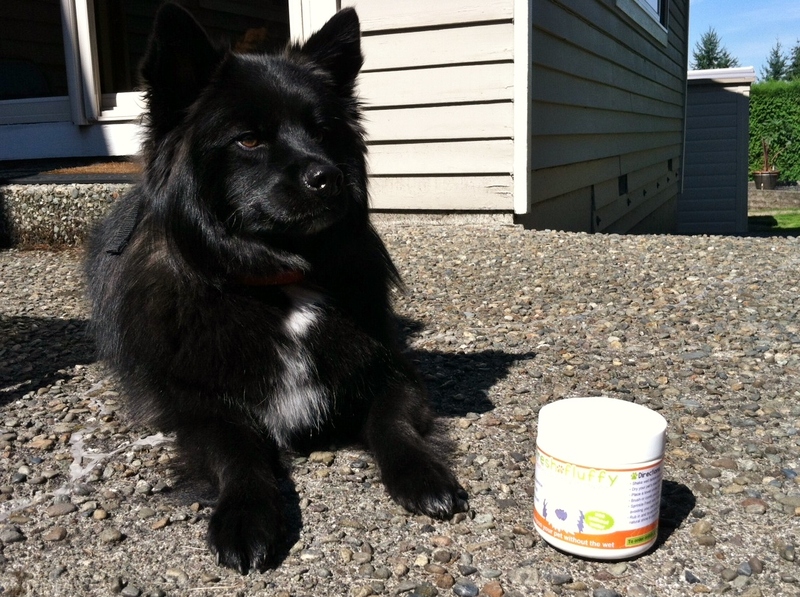 I use dry shampoo at least once a week, so why wouldn’t dry shampoo work on dogs? I think this is genius. 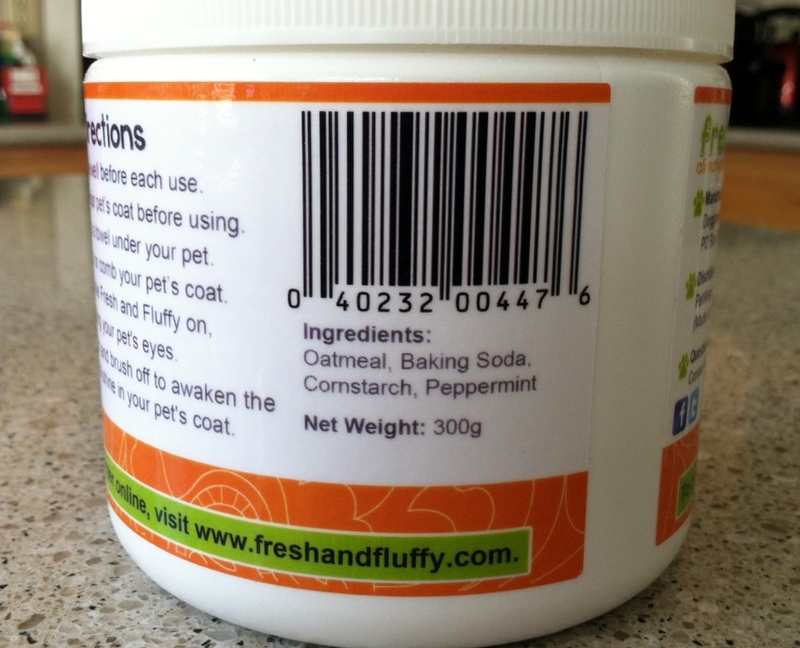 I was happy to see that oatmeal is one of the main ingredients in Fresh & Fluffy but I wasn’t so sure about peppermint. In general I’m a fan of peppermint scented things, but when I opened the container it seemed a little strong. 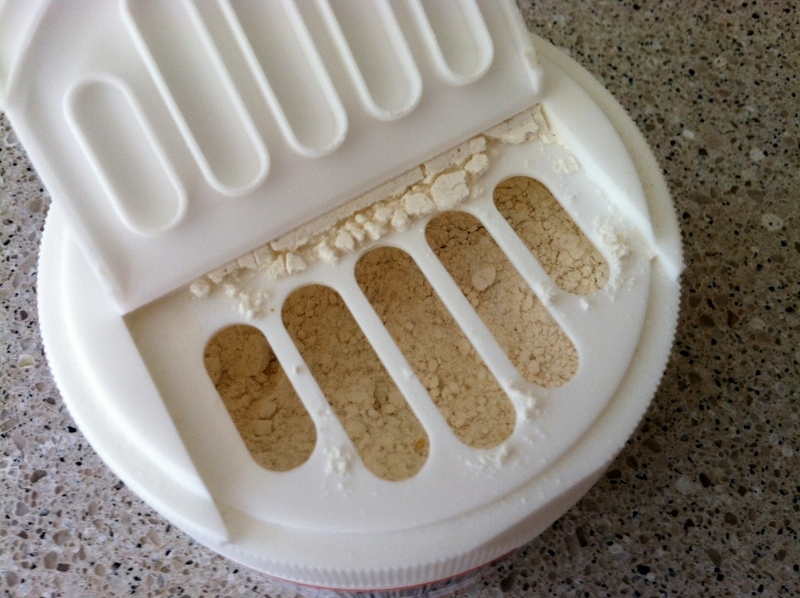 The $14.99 Fresh & Fluffy container is 300 grams and it seems like it’ll last a long time, especially if you use it in-between baths or in special circumstances like I will. After the dog park today I decided to give Fresh & Fluffy a shot. Teton wasn’t very dirty so I decided that since this was our first time using Fresh & Fluffy that I would just shampoo his neck, back, and sides. FYI – I did this all outside since it was nice out and I’d never tried the shampoo before so I wasn’t sure how messy it would be. It ended up only being slightly messy so I’d have no issues with shampooing him inside. 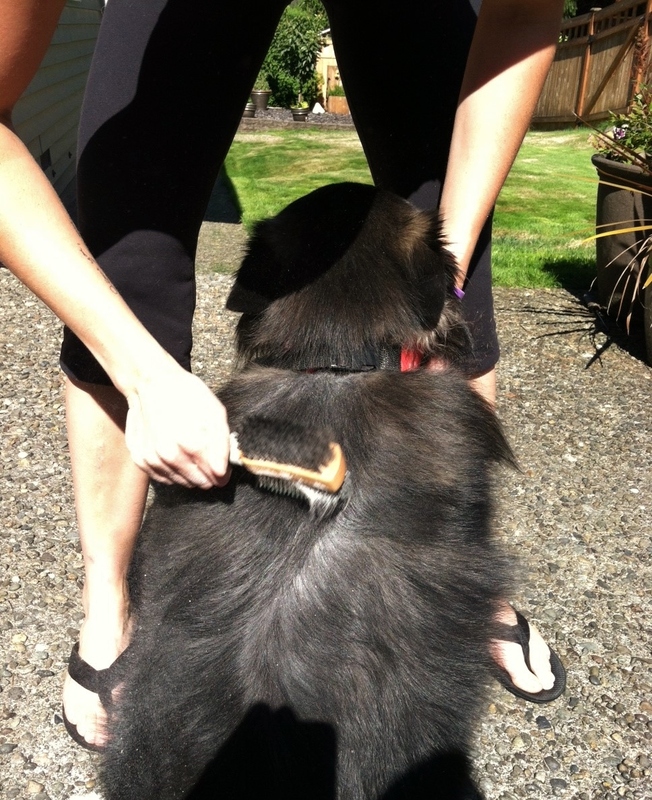 First, I brushed Teton’s coat to get any surface-level dirt out. 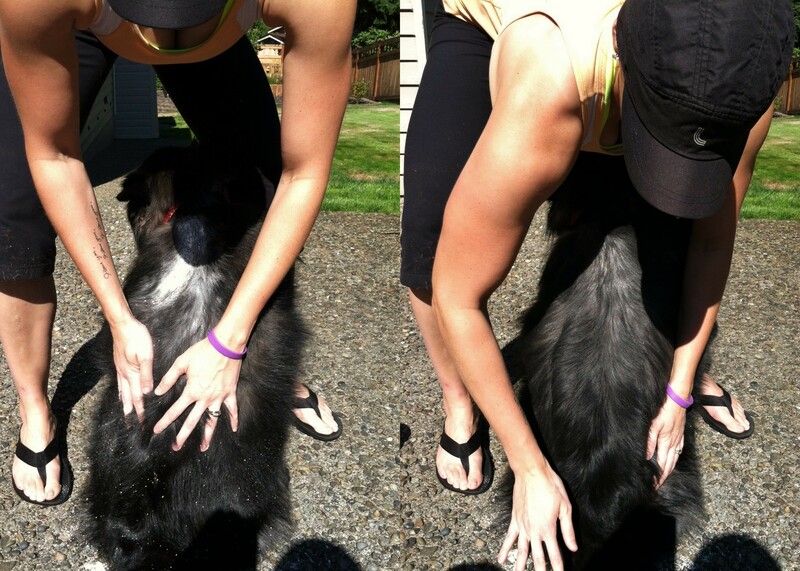 Then, I sprinkled Fresh & Fluffy down his back. Next, I rubbed the Fresh & Fluffy powder into his coat with my hands. Finally, I brushed him out once more, making sure that the white powder residue was gone from Teton’s coat. But, you may be wondering, what about the peppermint smell? Does Teton smell like toothpaste now? I’d say he smells more like a piece of peppermint candy. It’s not so bad. I wish that the stronger scent was of oatmeal, but my guess is that in a few days I won’t notice the peppermint at all. Fresh & Fluffy is definitely a smart, unique product that’s easy to use and has great results. Teton wasn’t extremely dirty when I used Fresh & Fluffy on him but I believe it would do the trick even after a hike, camping trip, or romp on the beach. It’s nice to have an option that gets him clean but doesn’t stress him to the max like a real bath. Head over to the Fresh & Fluffy shop if you’re interested in trying it! Posted on September 8, 2013 by Shannon	This entry was posted in Beauty Parlor. Bookmark the permalink. I don’t think it’s quite as good as liquid shampoo, but it definitely cleaned him up nicely and his coat is still pretty soft and shiny. I’ve never seen an ionic pet brush but I’ll check it out! Thanks for the tip! The shampoo is just what I was looking for. You should tell guys at the F&F to give you a discount next time, because I decided to try it on my golden based on your review 🙂 I need something in-between baths, especially if we find a lake or some mud on a walk and I just can’t bath him everytime he’s dirty. I hope I will be satisfied with the product like you are! I enjoyed reading the blog. I own a cat, no dogs, but I’ll be back because your post was interesting, well written and a quick read. 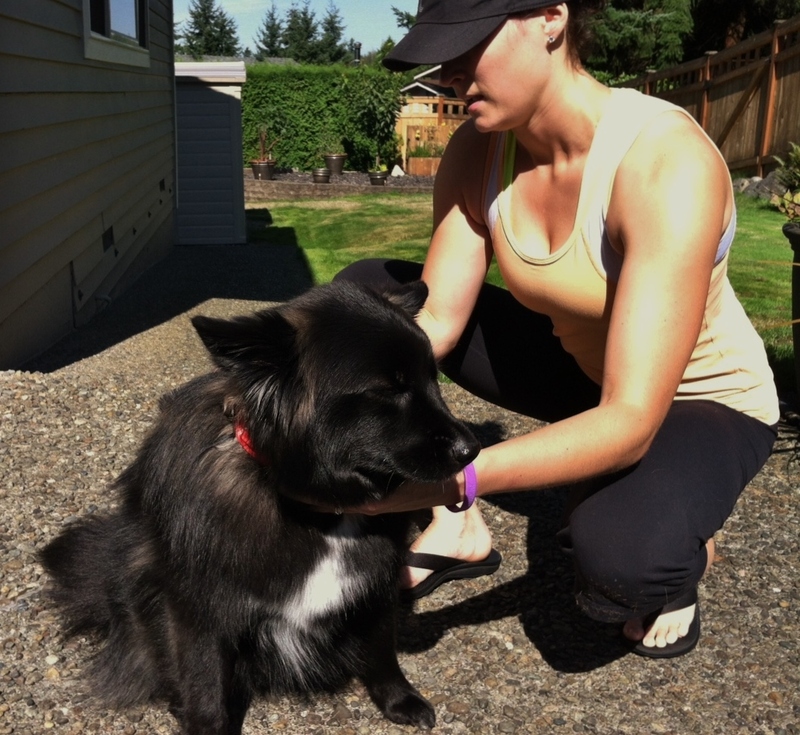 Plus, I sell houses and many clients have dogs, so knowing how to speak to clients about their pets is important.